Pretty jammies are beautifully detailed everywhere you look. 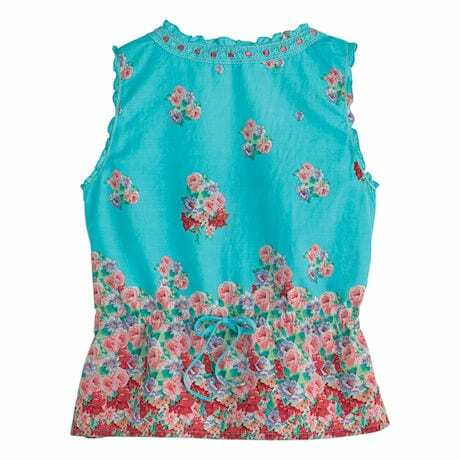 Sleeveless button-front top has ruffles at the neck and arms, pin tucks down the front, flower-shaped buttons, and a ribbon that weaves through eyelets at the neckline and ends in a bow. In back, a drawstring waist with tie. Size M hangs 21". 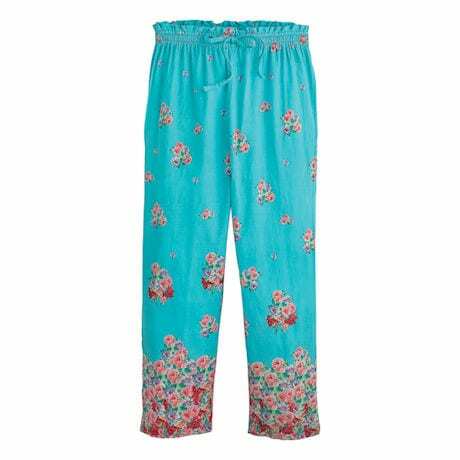 Capri-length pull-on pants have an elastic drawstring waist and 23" inseam. 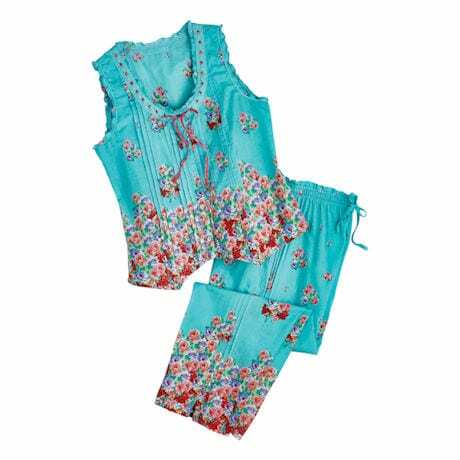 Summer weight 100% cotton, sizes S(4-6), M(8-10), L(12-14), XL(16-18), 1X(18-20), 2X(20-22), 3X(22-24). Machine wash. Imported.